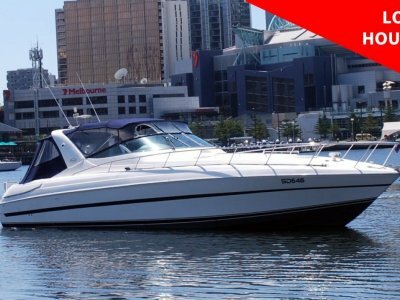 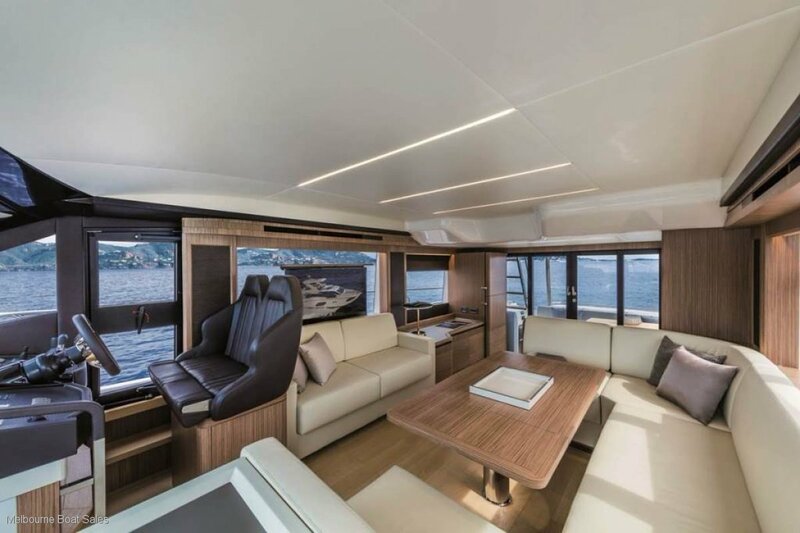 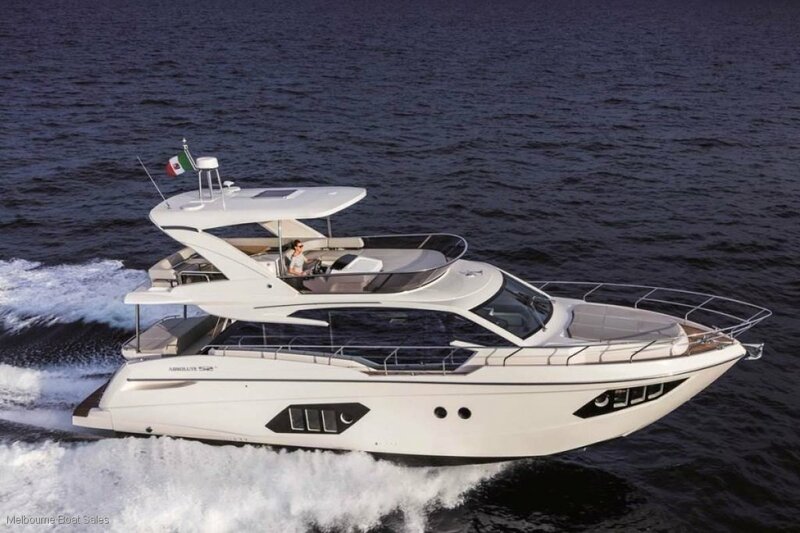 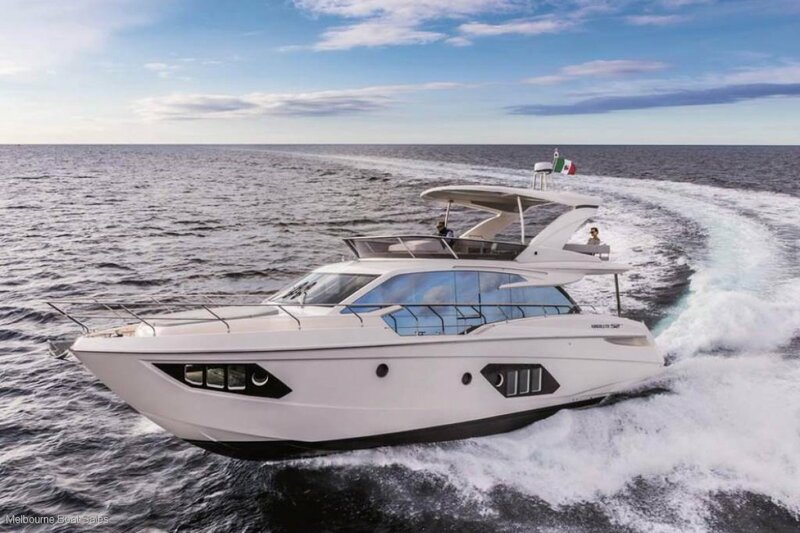 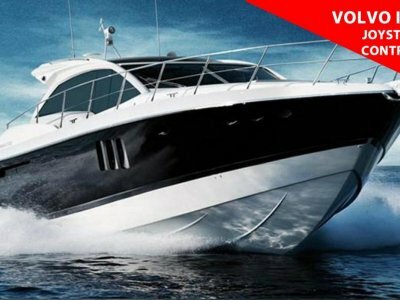 The Absolute 52 Fly offers the same luxury, comfort and amenity that you would find in your home. 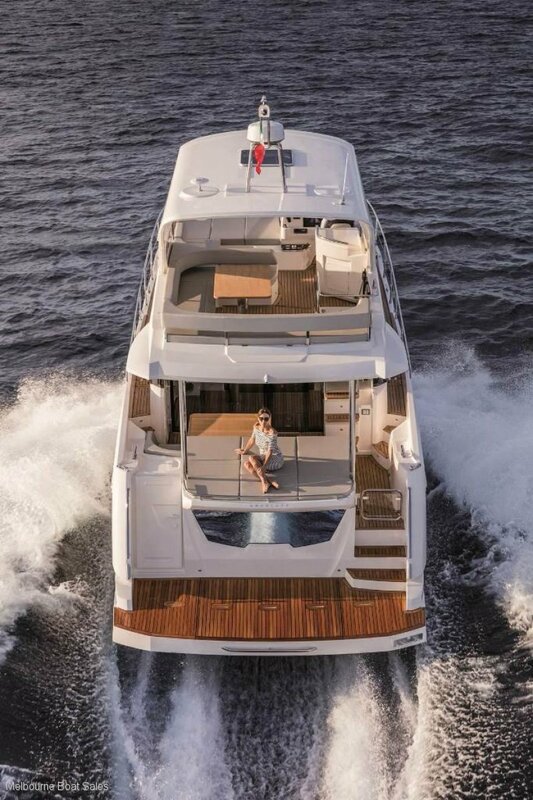 She was engineered for your comfort and pleasure. 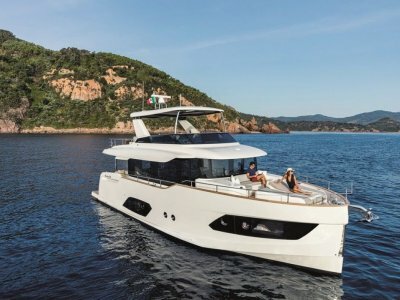 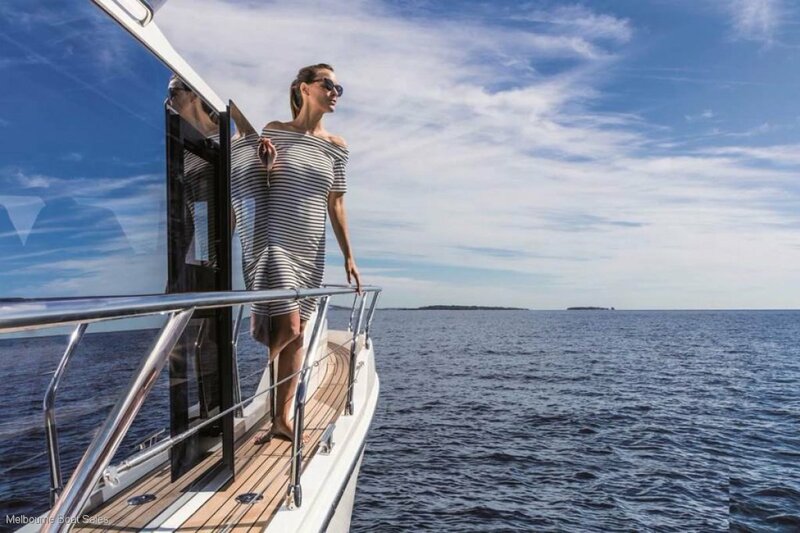 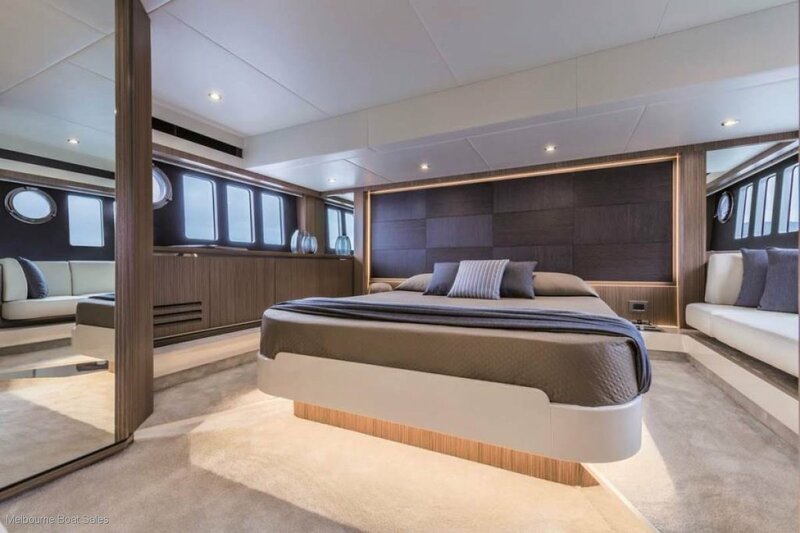 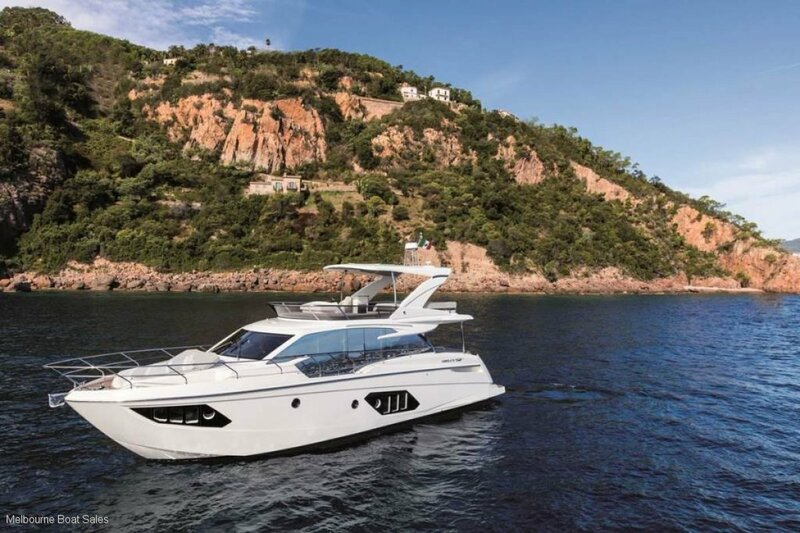 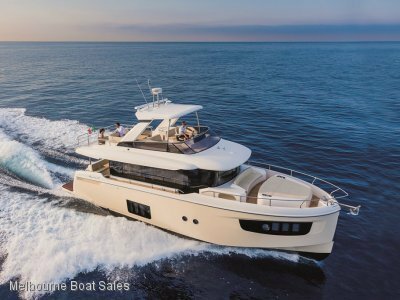 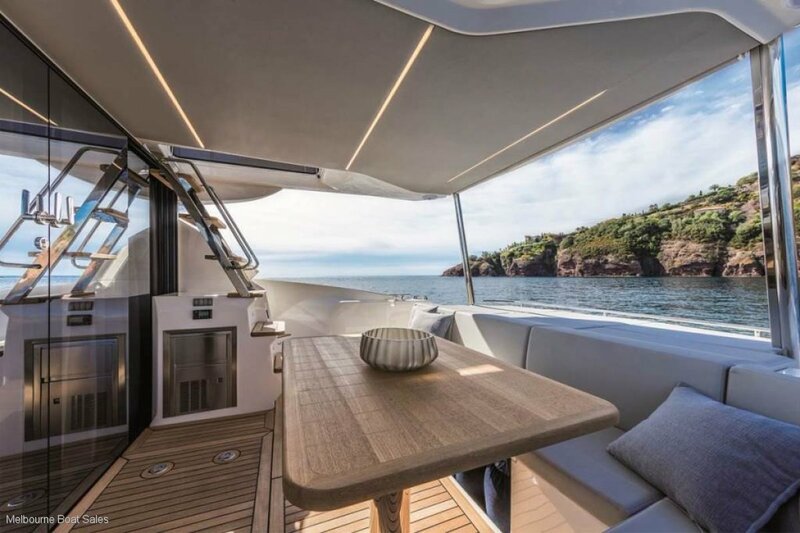 The 52 Fly has a smooth riding 16 metre hull with a wide-beam and adopts a single level open plan design to ensure you're surrounded by ocean views... Destination relaxation! 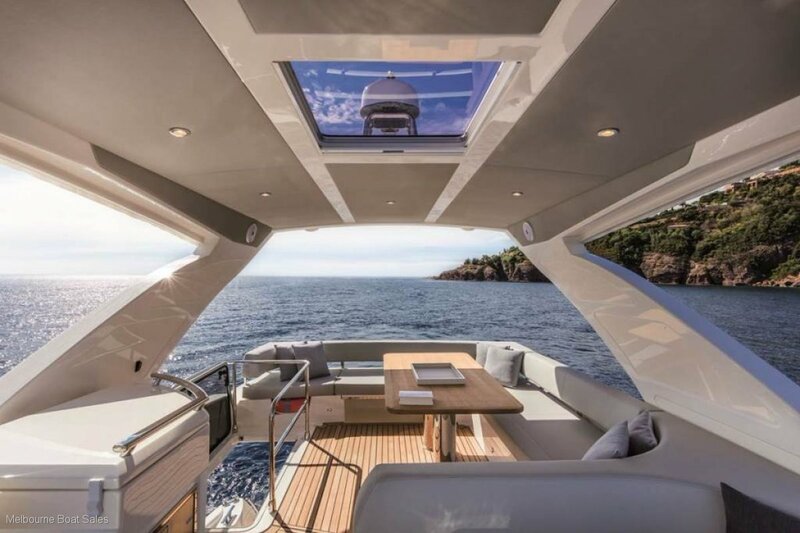 The Fly area is inviting for a birds eye view of your surroundings. 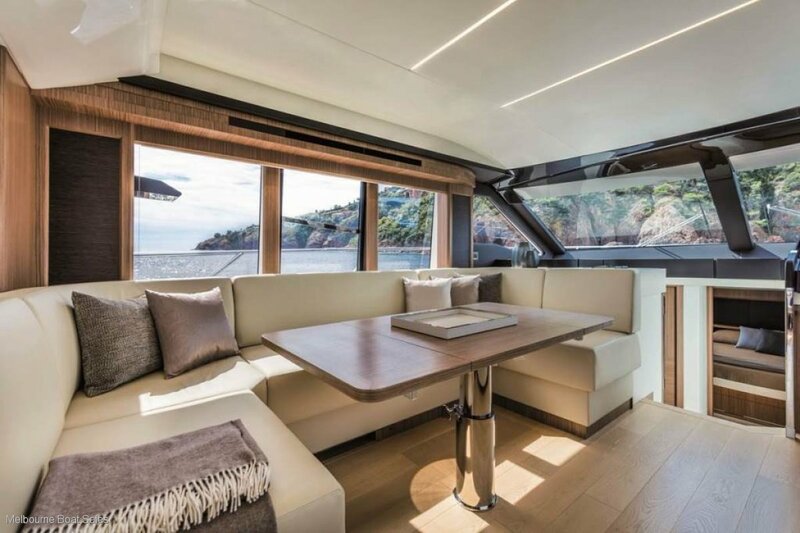 A large sofa beckons your guests, which is great for entertaining up to 8. 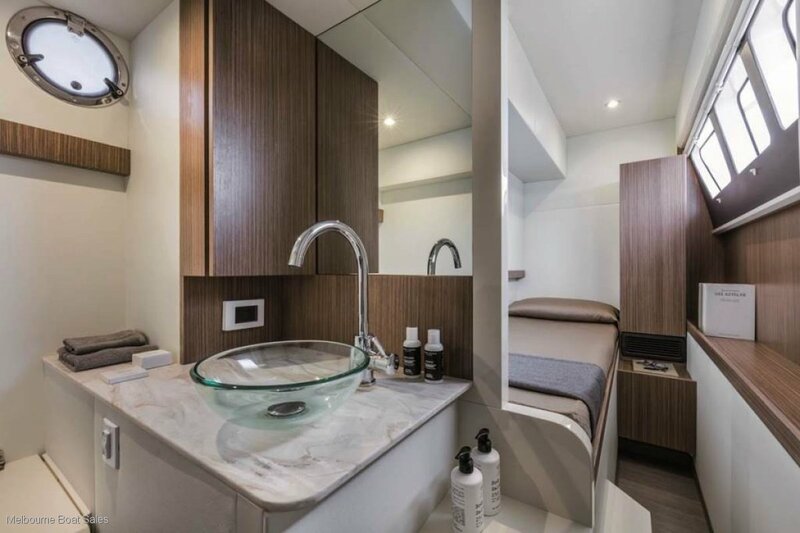 For tanning or laying about, the reclining sunbed is great for those perfect Summer days. 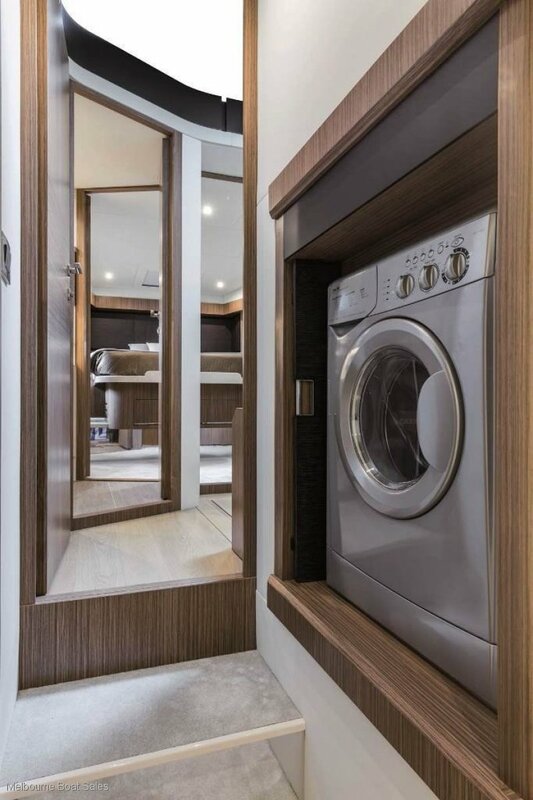 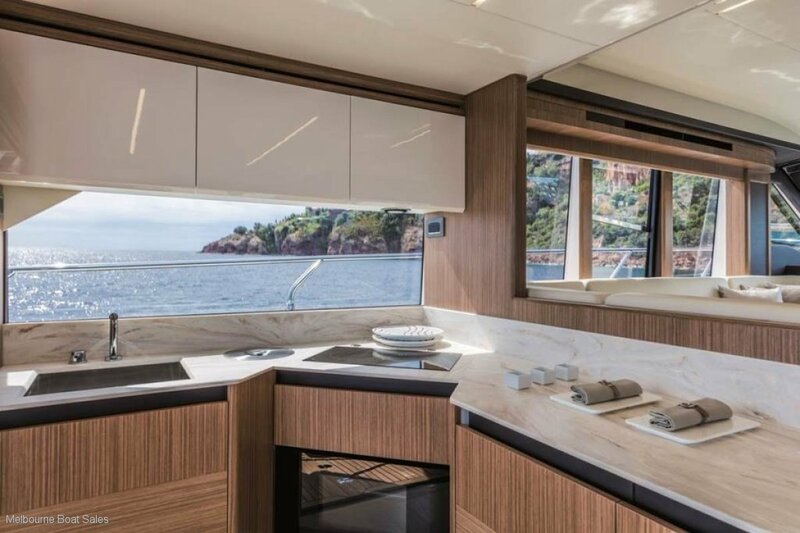 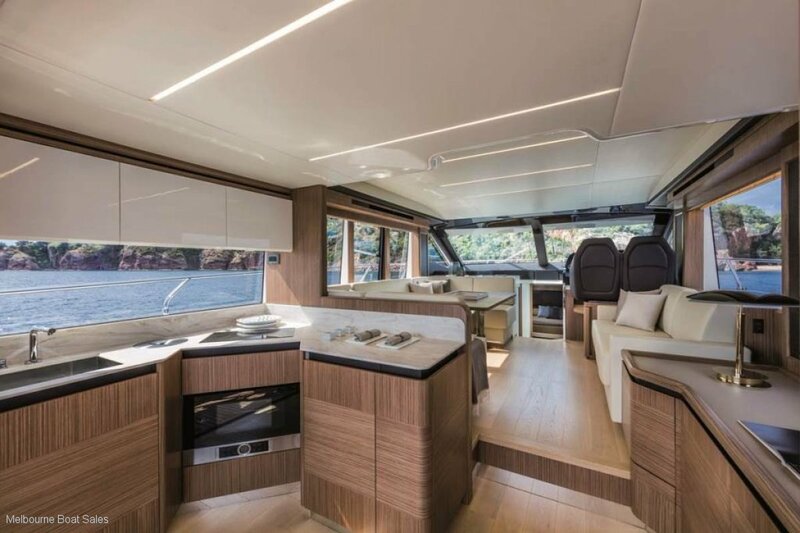 When accessing the interior cockpit, the Absolute 52 Fly has a great space to wine and dine, which includes a full sized fridge, stove, microwave oven with an optional dishwasher. 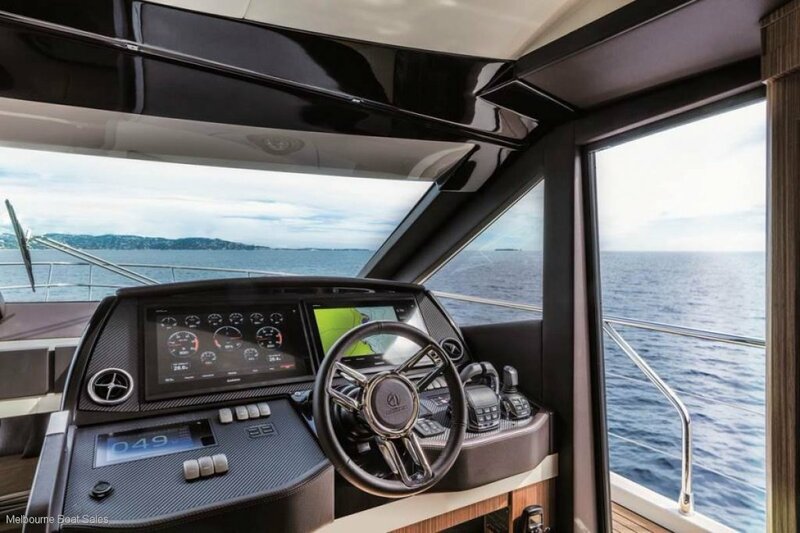 The layout is both convenient to serve the hall and cockpit and achieves a single fluid space. 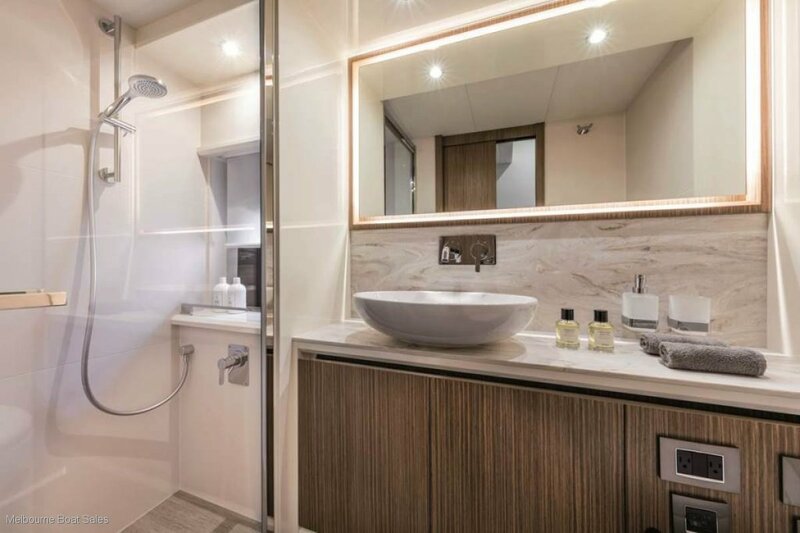 Down below, there is a master cabin, furnished with a double bed, sofa and private head. 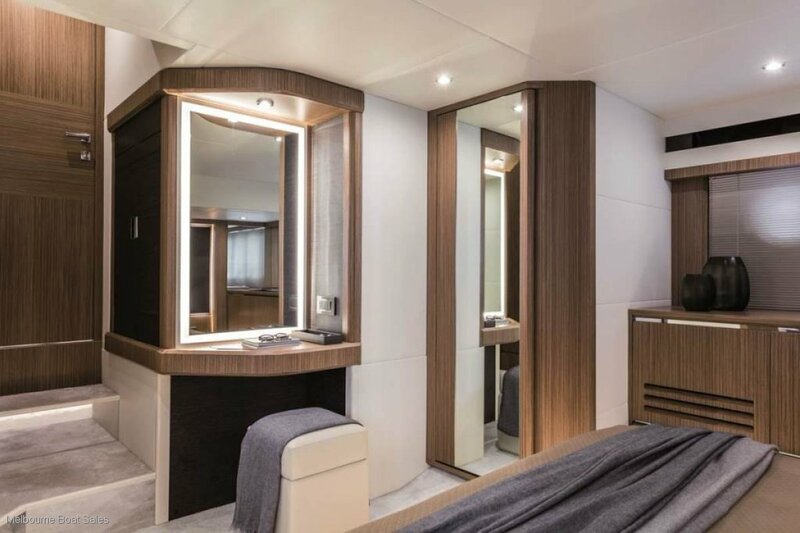 There is also a day head and another cabin with a double bed for your guests. 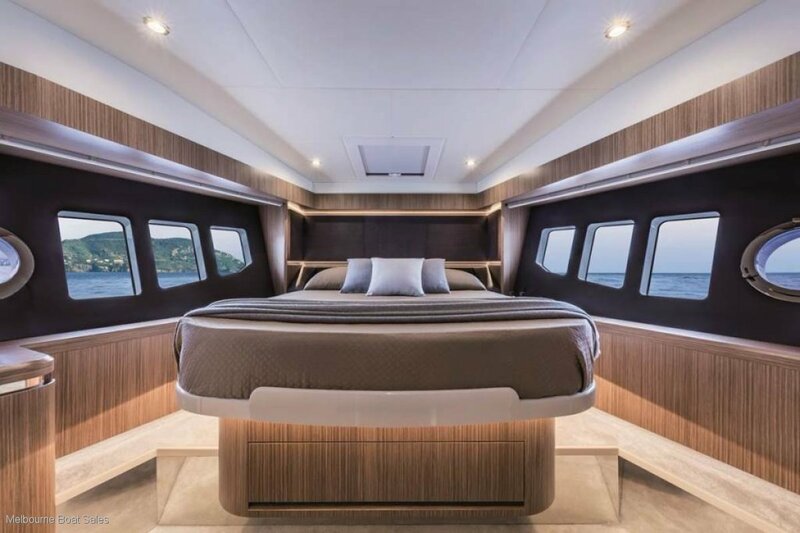 If you have extra people on board, the third full sized cabin with 2 twin beds will not disappoint. 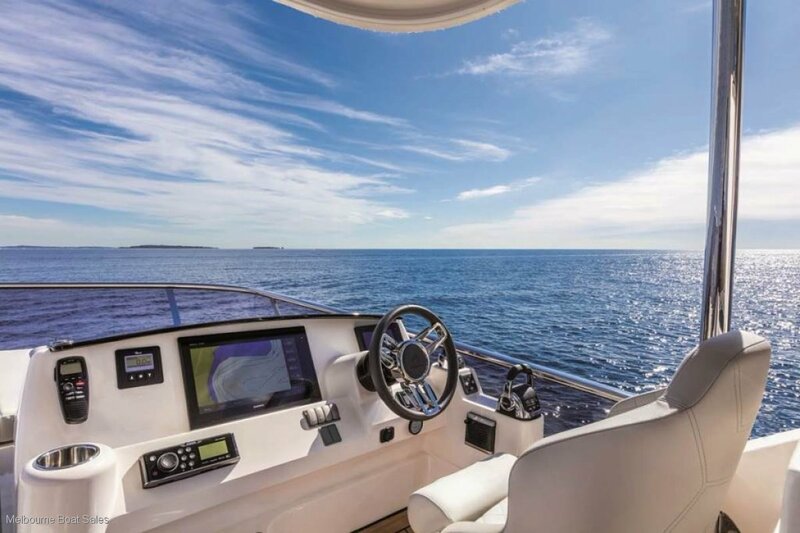 The 52 Fly will be powered by IPS Engines featuring Joystick controls.